4.Enables you to import audios in various formats and apply to the flash as background music, including aac, aif, aiff, ac3, ape, au, flac, mpa, mp2, mp3, ogg, ra, wav, wma and m4a. 5.Adjust the orientation of photos to your preference, change the display sequence of photos by drag-and-drop to customize the photo collections before conversion to flash. 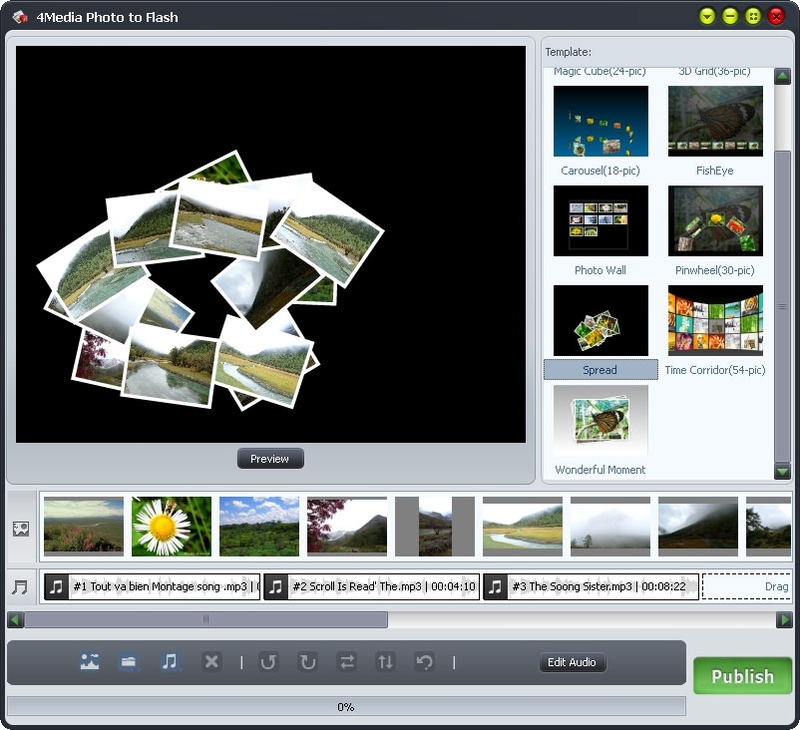 6.Make photos and music are perfect matched, you can cut and merge your added background music, adjust the music playing sequence, add fade-in and fade-out effects. You can also set the loop mode on the background music. 7.English, German, Spanish, Italian, French, Japanese, Simplified and Traditional Chinese interface languages are available in 4Media Photo to Flash.